Labor Day weekend in Destin is more than just a long holiday weekend. It’s celebrated as the symbolic end of the summer but it’s also a time of rest and fun with family and friends. It’s a time to take a much deserved, relaxing weekend before the grind of a new season and regular schedules ‘fall’ upon us. So what are you going to do to make the most of this Labor Day weekend in Destin Florida? With some many things to do in Destin and so little time, how are you going to maximize your time and make this a memorable weekend you won’t forget? It’s a no brainer that we don’t want to spend our valuable time in traffic to catch a Destin cruise and now you don’t have to. 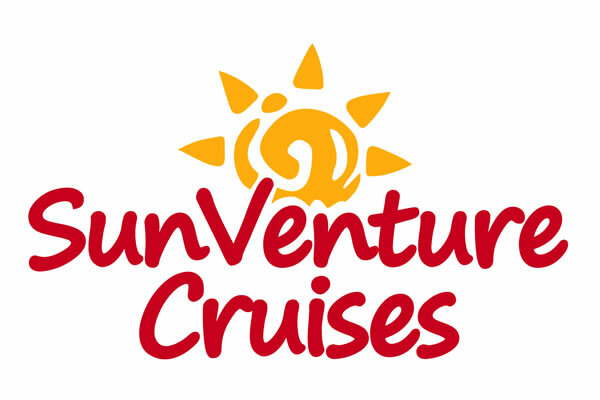 Leave your worries in the wake and come aboard the SunVenture! but you don’t want to fight hours of gridlock traffic to get to Crab Island in Destin. The new 45-foot SunVenture Catamaran is your solution this Labor Day weekend. Docked at the Baytowne Marina at the Sandestin Golf and Beach Resort, the SunVenture is the only family cruise excursion docked east of Destin, so you can cruise, not drive, to the top Destin attractions. Destin dolphins our area is known for but you want to be on a boat, not in a car. Park at Sandestin and hop aboard one of our daily dolphin cruises that includes a narrated tour by our knowledgeable captains and ends with a stunning sunset over the Destin waters. Convenient for anyone in the Sandestin, 30 a or Beaches of South Walton area. The SunVenture also has an extremely flexible schedule for any type of Destin private cruise from brunches, Destin party boat, rehearsal dinners, private celebrations, Destin bachelorette / bachelor parties and more. Just give us a call at 850.424.6465 or request more information online. It’s hard to believe that there are only a few more weeks left in the summer. Although fall doesn’t technically start until mid-September, the Labor Day holiday weekend usually marks the end of the summer season in Destin Florida and is the final ‘hoo-rah’ as everyone concludes vacations and gets back to regular schedules. If you are wondering what to do in Destin for Labor Day, there’s nothing better than a Destin cruise on the SunVenture so you can cruise through the last few days of the summer. Let our captains take you to the top Destin attractions this Labor Day like daily Destin dolphin cruises, Destin sunset cruises and Crab Island excursions. Speaking of Crab Island in Destin, it’s THE place to be this Labor Day weekend as people drop the anchor and play in the emerald green, waist deep waters with the stunning Destin bridge and Destin Harbor in the background. The SunVenture cruises to Crab Island every day, including a special live concert Labor Day Crab Island Cruise on Sunday, 9/3. Our schedule is completely flexible. If you really want to end your summer with a bang, consider our sister boat, the SOLARIS, for its Destin fireworks, sunset and dinner cruise on Sunday, September 3rd. The luxurious yacht is also docked at Sandestin and is cruising all Labor Day weekend for a Destin dining experience you can’t miss. It takes Destin waterfront restaurants to entirely different level. Remember, Labor Day in Destin is a time to relax….so leave your worries in the wake and venture aboard the SunVenture! Our staff will work with you on any schedule, call today at 850.424.6465.